Auteur(s) : Gold, Alan D.; Lacy, Michael W.; Metcalfe, Laura J. 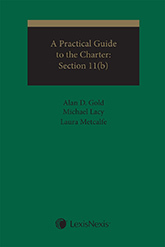 This practical guide deals with section 11(b) of the Charter which guarantees the right to a trial within a reasonable period of time. It looks at relevant issues and authorities in a post-Jordan world. In R. v. Jordan, 2016 SCC 27 (Jordan), the Supreme Court of Canada fundamentally changed the way in which s.11(b) of the Charter of Rights and Freedoms was going to be interpreted and applied. At its’ core, the new s.11(b) framework creates two presumptive ceilings within which criminal cases need to be brought to trial. Where cases are tried in the provincial courts across Canada, they presumptively must be completed within 18 months. Where cases are tried in the Superior Courts, they presumptively must be completed within 30 months. 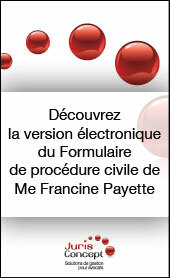 98 internautes ont consulté cette page.